RUSH: I got another note also from somebody who said, “You know, you’ve explained net neutrality a couple, three times, but I think you better do it again because now they’re protesting at Ajit Pai’s house.” He’s the chairman of the Federal Communications Commission. And they’re protesting at his house. And of course all of the Millennials and all the tech bloggers are all caught up in this believing that net neutrality is equality and fairness and sameness and does not allow the evil cable companies and the evil internet service providers to gouge you and to overcharge you. And nothing could be further from the truth. I had a great interview with Professor Thomas Hazlett, my friend from the old Sacramento days who has written a book. 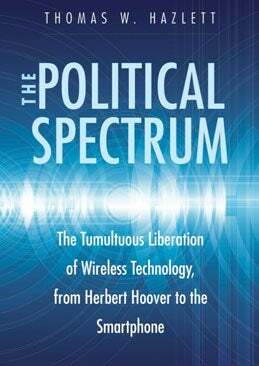 I would really recommend, and I’ve recommended it two or three times, his book, The Political Spectrum, Thomas W. Hazlett. In fact, it’s written for laymen in its verbiage, thereby easy to understand, and it’s a history of the regulation of the telecommunications industry. And what it demonstrates — and he was great in the interview in The Limbaugh Letter and I’m gonna excerpt some of it during the program today. He’s just excellent in pointing out the history of regulation of the entire spectrum, wireless, FM, AM, television, police band, air traffic control, you name it. The regulation retarded — do you realize that we could have had cellular communications in the fifties? FM radio was delayed 20 years because of the power of AM broadcasters to shelve it, influencing regulators. The history of the telecommunications industry is the history of regulating it and impeding it. And net neutrality is an often-used misnamed term that is designed to make everybody think that no one user, no one provider, no one company will have any more access to the internet than any other. One of the best analogies I could give you on this — and I’m gonna get back to Roy Moore in a minute. I never lose my place. The pro-net neutrality people have come up to analogies to try to help people understand what they think they’re trying to propose. And they use Federal Express and Amazon as their illustration. And they say FedEx delivers Amazon’s packages, and they’re all treated the same. No package gets any preferential treatment. FedEx gets the packages, they deliver them. And the providers of both retail products and those who deliver them will accept any form of payment based on the services they offer to give you that package when you want it. If you want to pay the least, then you can buy FedEx ground or UPS ground or whatever and have it delivered in three weeks. If you want to pay, you can have it delivered the next day. If you want to pay a little less than that, you can have it arrive in two days. There’s all kinds of flexibility and it’s based on what people are willing to pay. All packages are not treated the same. All Amazon, all FedEx, all UPS packages are not treated the same. I can’t believe they used this as an example because it’s so easily blown to smithereens. Well, instead of Amazon, think of Amazon as your internet service provider, and instead of FedEx, think of the internet itself as delivering the product. If you want the fastest internet you can go out and ask if your provider provides gigabit Ethernet. And if he does and you find out what it costs and you want to buy it then you damn well expect that your download speeds with gonna be gigabit ethernet. You’re paying for it. If you don’t care how fast your internet speeds are, you can go el cheapo. See, this is the real rub. What the tech bloggers and the left don’t like is that there are options and that there is a freedom in the marketplace and that people can choose superior service if they’re willing to pay for it. And if somebody’s willing to pay for superior service, the providers had better provide it. But if everybody’s treated the same — the only way everybody can be treated the same is if there is a massive regulatory agency that is watching and controlling and inspecting virtually every aspect of the internet every day. And they’re looking for violators, because they want to punish them. It is impossible for there to be sameness and equality when it comes to the transfer of data, for example, or for the internet, which is what we’re talking about here, but there are other mass forms of communication, too, that would come into effect. But it’s typical of the left. If you want the government running the internet, if you want the government policing and in charge of every aspect of internet, then by golly, by gosh, support net neutrality. Net neutrality is misnamed. There’s nothing “neutral” about it. The government controls it. The government regulates it. If you like government regulation, if you like how government regulation retards things, slows things down, gums things up, causes mistakes to be made, then by all means support net neutrality. It does not mean that certain people are gonna be given preferential treatment. It means that you will be able to buy whatever service you want and the provider will provide it. And if the provider doesn’t provide what you’re paying for, then you have recourse to cancel, get out of it, go somewhere else. It is regulation that would turn the internet — look, the internet has grown like wild, and it has grown precisely because it has not been regulated. It really isn’t a complicated thing at all. What complicates this is another misnamed political project, net neutrality. I mean, who could be opposed to neutrality? That means nobody is given any preferential treatment, and isn’t that what we’re all about? Nobody is special, nobody gets anything better or faster than anybody else, and that’s what we call fairness, and that’s what we call equality, and that’s what we call happiness, and that’s what we call sustainability, and whatever other cockamamie thing we use to describe it. But it isn’t the real world. How about the government regulating airline travel speeds? Yep. We’re only gonna allow jets to fly 300 miles an hour because some people can’t afford to fly at 700 miles an hour or six. The people that are in charge of promoting ridding the telecommunications industry of these Obama-era rules — would you like to know what net neutrality, what it’s based on? It’s based on something called Title II, U.S. Code Title II, 1934 telecommunications law. There wasn’t an internet in 1934. There wasn’t television commercially available in 1934. And yet that’s the series of regulations and laws that Obama put in place to have them apply to modern-day communications technology. And it’s absurd. And the reason Obama and the Democrats and the left is all for it is precisely because it puts the government in charge of it. The government regulates it. And I’m gonna give you some examples today, Professor Hazlett from his interview. You’ll be stunned at the slow pace of technological innovation because of regulation. The internet, remember when it first started, when people really, really got into it? I’m talking about being able to browse websites, the first browser was Mosaic, then Netscape came along with theirs, and everything was free. Newspapers published websites with the exact content of their published editions and more. Everything came online. Everything, data and information being added, and nobody was charging anything for it, which was their big mistake. They created the idea that if it’s on the internet, it’s free. Now they’re having to charge for it, put things behind pay walls, they’re having trouble because of so many years. But the point is, it wasn’t regulated and look how fast it grew. And look how fast the tech improved. And look how widespread available it became. And when it became so powerful, when it became so widespread, when it became of age and had demonstrable influence, that’s when the left wants to get their grubby, crusty paws on it and start regulating it for their political benefit. It’s not about your provider shutting down data speeds to you while speeding them up for some corporate customer. If you want to pay for it, you’ll be able to get it, just like in anything else in a free market. And if you can’t afford what you want now, you work harder and maybe someday you will be able to. But there’s always gonna be an option, until the government gets involved. RUSH: I just want to give you one example here to go along with the net neutrality discussion or explanation that I offered in the first half hour of the program. The left is pushing net neutrality ’cause they want the government to regulate the internet on the premise that the private sector is mean, it’s unfair, it overcharges, it kills its customers, it puts its customers at risk, all of the typical bromides you get from the left. So they want the government regulating it just like they want the government regulating health care. If you like Obamacare, if you like the government in charge of all that they’re in charge of, then you ought to welcome net neutrality. But I’m telling you, if you like being able to purchase what you want, when you want it, if you like technological innovation, if you want things continuing to improve and innovate, modernize, and get cheaper along the way, then you must oppose net neutrality. It’s misnamed. It has nothing to do with what the left actually wants. And I’m gonna give you an example of government regulation retarding and practically stopping technological innovation. The example I’m gonna use comes from professional Hazlett’s book, and it’s about cellular. Think back, your own life. What is your first memory of either seeing a cell phone or actually having one? I’ll tell you mine. It was 1985 or ’86. And I was in Sacramento. What I didn’t know — and this was 1985 or ’86, folks. Cellular telephone communications, cellular communications technology was announced by the FCC in 1945. There was an article in the Saturday Evening Post. In 1945, the big announcement of the invention, discovery, whatever you want to call it, of cellular technology, which uses, of course, wireless spectrum, radio frequencies. It took until the 1980s for the government to license operators to use cellular communications. AM radio stations are licensed. Television stations are licensed by the FCC. And the owners and operators of those stations have to pass every five or 10 years, I don’t know what it is now, license renewal exam basically on how well they’re serving the community. It’s almost become pro forma now, but the point is the government’s in charge of it, the licensing. So the inventors of cellular couldn’t do anything with it until the government licensed it! And the minute it was discovered, all other forms of communication, particularly land line telephones, began pressuring the government and regulators to squash it. They didn’t want the competition. This is not unnatural. It’s the same thing that happened to FM radio. FM radio was invented 25 years before the first FM radio was sold. A consortium of AM radio station owners put pressure on the federal government to shelve the entire FM technology, which it did. Lobbyists and people of influence, the special interests in communications succeeded in burying two innovative forms of communication technology to the benefit of current, or at the time, operators, which in these cases were AM radio and land line telephones. But wait. There’s more after this. RUSH: We’ll get to the phones here just shortly, but I want to give you the bare essential details of the cellular story just to understand what can happen when the government starts regulating the internet. It’s trying to even now, and they want to get their entire mitts — well, this government doesn’t. The Obama government, the left wants to. This is Trump getting rid of what Obama was trying. This is Trump and Ajit Pai at the FCC getting rid of the first planted roots, if you will, of the blossoms that would lead to government regulation and control of the internet. So cellular announced by the FCC in 1945. It didn’t hit the market ’til 1985. It was 40 years, the commercial market. Now, when the cellular technology finally got out, it’s just amazing what happened. Cellular was never thought, by regulators, by the government people in charge, it was never thought to be mass market. It was thought to be for walkie-talkies in the military and law enforcement. But the regulators never thought it would have mass market application. The FCC assumed that cellular would be a plaything for the rich, it’d be very limited. In 1980, a McKenzie & Company study commissioned by AT&T said that there would be fewer than a million wireless subscribers in the U.S. by the year 2000. And this study by McKenzie was used to suppress the technology and keep it from the market. Well, by the year 2000, there were over 109 million wireless subscribers, well more than the “fewer than a million” that AT&T predicted. So that’s what the old Ma Bell monopoly, AT&T, thought that it was not gonna have popular application, something strictly for the rich, and that’s what the old regulators thought. So they went very slow. When this wireless technology was finally unleashed, it became obvious the market was far too complex for regulators to manage. At the same time, the regulators didn’t have the interest in managing cellular where people talked to one another. They wanted to control broadcasting, which is commercial and where there is money changing hands, where one broadcasts and one listens. But with person to person communications, they didn’t see any value in that. They thought that had already been handled with land line phones, and that’s all there was ever gonna be needed. And if you needed in-the-air communications for airplanes and things like that, that already existed. But person to person, they weren’t even thinking about consumers. By the 1980s there was beginning to be serious deregulation, not just the U.S., but around the world. And with deregulation came competition, and that’s when cellular finally hit the marketplace, when it was deregulated, when the regulators figured there’s no reason for us to police this ’cause nobody’s gonna want it. Bureaucrats are not visionaries. Barack Obama and his merry band of bureaucrats are not visionaries. They are pessimists. They deter new ideas. It is said that we conservatives are the ones that don’t innovate and don’t modernize, that we want to conserve the old-fashioned ways. Wrongo! It is the left that deters new ideas, particularly innovative technological ideas. I’m talking about not the inventors. I’m talking about liberal government regulators who exist to protect existing industries. Because you know who really is purchased when a new technology comes is members of Congress. They’re the first people that are bought. And if you want that to continue to grow, if you want Obamaism to be in charge of what you can and can’t do and where you can and can’t do it and how much you can or can’t pay for it on the internet, then by all means support net neutrality. But it isn’t neutral. It isn’t innovative. It isn’t creative. And it’s gonna end up being expensive as hell for mediocrity. RUSH: We’ll start with Matt in Williamsport, Pennsylvania. Hi. Great to have you here, sir. CALLER: Hey, Rush thanks for having me on. How’s it going? CALLER: Very good. Hey, I won’t take a whole lot of time because you already had most of the points straight out correct which kind of upsets me when I see all these things going around the internet with net neutrality and everybody saying we have to keep it, we have to keep it. So I thank you for getting the information out there. I run a small regional ISP, so we compete directly with the cable companies, directly with the internet companies. RUSH: All right. Wait. Forget what you said about not taking up much time ’cause I’m gonna use you here as an opportunity for people to understand what goes on. You are a regional ISP. RUSH: People don’t even know what that is: internet service provider. Regional — you said you do compete directly with the big guys, the cable companies. So tell everybody, what do you do? What is a regional ISP? Who are your customers? CALLER: Okay. So our customers are ones that for whatever reason have decided they don’t want to go with the cable company or the phone company. A lot of times it’s the cord cutters because we focus on one thing and one thing only and do it well, and that’s internet service. So we don’t bundle TV, we don’t bundle phone and that’s just our business model at the moment. Some regional internet providers do. We’ve just decided not to. RUSH: Wait, hang with me here. I’m gonna assume here that there’s some people that still don’t know what you do. So you provide — forgive the term. You’ll understand what I’m saying here — you provide the Wi-Fi for people in their home, right? CALLER: We are a replacement to any of the big-name companies that you can go to out there. We provide through own network that we build the internet service to somebody’s house that they can plug their Wi-Fi router into or get the Wi-Fi from. RUSH: Are you not sharing wires in the neighborhood with the cable companies, you’re not sharing cable, you run your own cable? CALLER: Correct. So in our case we have a hybrid network. We’ve got some fiberoptic lines and then we also do wireless. So we’ve got towers all around town. We’ve got equipment on there, and we basically terrestrially connect customers through the wireless connection. RUSH: Why did you decide to do this as a business? Why did you want to compete against these people that can lower their prices ’cause they have so many customers? Why did you want to do this? CALLER: Because they don’t. So we see — and every day I sit here in the office when I’m in the office and I hear people taking phone calls on our sales lines. And it’s just the same thing over and over and over, which is we want to get away from the big company X because our bill just keeps going up every month. And so people are upset with the poor customer service, they’re upset with their bills going up, with their bills not being consistent every month, and it not being a local company. And so that’s the niche that we fill. RUSH: Are you making money? RUSH: You’re in Williamsport, Pennsylvania. How many customers do you have? CALLER: Just north of about 1,500. RUSH: How many more would you like to have? CALLER: So I don’t know the answer to that question. It’s something I’ve thought about often. RUSH: — provide that, so there has to be a ceiling on the number of customers you can have, so that has to affect your business plan. CALLER: There is, but what affects it more is I want to make sure that however big we may grow, we don’t stop providing good, local customer service to our customers. RUSH: And what is good customer service for your customers? They never drop coverage? Your coverage is always there, rain or shine? What is good customer service for you? CALLER: So certainly that can differ by who the customer is. But, in my opinion, good customer service is you call in if you have an issue — which certainly that comes up, even with us — and you talk to somebody who knows what they’re doing. They’re not in a call center someplace just reading a script. And then hopefully we can get out to you within a couple of hours and get your issue resolved. You know, if you call in with a billing issue we get it resolved right away. We’re not encumbered by layers of management and procedures and scripts that need to be followed. RUSH: Okay. So why are you opposed to so-called net neutrality? RUSH: But they want to. They want to apply those Title II regulations from the phone service from 1937 to internet service today and they want to be able to charge for the same things that rural telephone service, now rural internet service, everybody pays so those people get it for nothing. CALLER: Correct. So if we continue down the Title II rabbit hole with net neutrality and the government intervention in the internet, eventually you’re going to see these taxes in your bills going up from, you know, all of these USF funds and other federal funds. RUSH: But you would lose the ability to be price competitive with your competitors, correct? RUSH: No, with net neutrality you would, you would be forced to be raising your prices? CALLER: Correct. Correct. Yes we would have to put taxes on there, we would have to raise prices, we’d have taxes that potentially would change from month to month, and so people would be back to complaining about surcharges and taxes on their bill, even with us. RUSH: I appreciate your answering my questions. They have 1,500 customers in Williamsport, Pennsylvania, and net neutrality, so-called, would force him to abide by Title II federal regulations, which, Title II dates back to the 1930s. It was how the phone companies, Ma Bell and the original land line phone apparatus was regulated by the federal government. But the key to it is not 1937; it’s federal government. Title II allows federal government total regulatory control over the internet, which they don’t have now. They’re starting to because Obama began the initiation of so-called net neutrality rules. But he mentioned Netflix. This is a good example of how the pro-net neutrality people have everybody scared. As you know, Netflix, if it’s not the most popular, it’s on its way to being the most popular provider of television programing, video, movies, TV shows, you name it, for people that don’t have to subscribe to a cable company or a satellite service or what have you. And the pro so-called net neutrality people have got these customers scared to death that Netflix is going to somehow be throttled, that the phone companies will come in and the other ISPs, Comcast, AT&T, you name it, will be allowed to throttle Netflix’s speeds so that you will not be able to watch as smoothly, as conveniently, with as good download speeds and so forth. They try to threaten people that the thing they like most will be damaged, will be taken away from them. And then they add to it, “But not for everybody because the rich will be able to pay Netflix for a special wire, special cable, special high speed service, whereas you can’t, and then Netflix will be only concerned with their high paying customers that won’t care about average middle class customers.” All of this is just scare tactic BS. It’s not in Netflix’s best interests for any of that to happen. Now, you might say, “But, Rush, Netflix signed on for it.” Of course! They also signed on to global warming. They’re all scared to death of a highly powerful regulatory federal government. Of course they signed on to climate change. Of course they signed on to all this stuff, and if they think customers are signing on to it, they’ll do that too. I mean, if company X thinks that most of its customers believe in climate change, then company X is gonna start making their customers believe they care about it, too, and there will be climate change specials and climate change promotions and climate change consciousness in advertising. The whole thing is a racket. But it’s a scare tactic meant to frighten people into believing that the monthly rate they pay will not be enough to get decent-enough download speeds to be able to watch video that doesn’t buffer or get interrupted. And that’s not at all what any of this is about. It is net neutrality and the federal government regulating that would determine who gets what when by virtue of regulation. And the evidence of regulation in any industry is clear for anybody to see. But in the telecommunications business especially. The innovative technology that’s been stifled by decades, such as FM radio or cellular technology — and those are just two examples. Anyway, I appreciate the call, Matt. RUSH: Josh in Reading, Pennsylvania. You’re next, sir. It’s great to have you with us on the EIB Network. Hi. CALLER: Good afternoon, Mr. Rush. It is an honor and a privilege. I’ve been listening to you for years. And while I don’t always agree with you, I love your facts. I must say that you, sir, keep me factually informed. I thank you for that. RUSH: Well, I appreciate that. Thank you very much out there, Josh. CALLER: I wanted to just really touch base. I really believe you are kind of off base on this net neutrality thing. I just wanted to throw something out at you and see what you think about this. Net neutrality is not about what you’re describing in the sense that it’s about, “Oh, I want to pay more for a hundred gigs of service versus 25 megs of service or anything like that.” Quite simply: Net neutrality is about no filter, no throttle. It actually would impact you the most, I think, because the concept being, if this net neutrality is repealed and gotten rid of, the mainstream media and the companies that own these ISPs — like Time Warner, Comcast, all these plases — can artificially throttle the websites that you choose to go to. 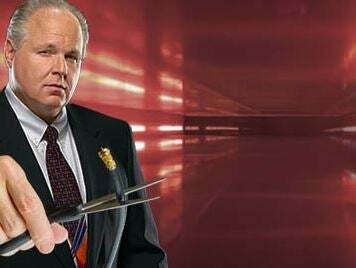 So if I want to listen to say RushLimbaugh.com and get a podcast and they see now that, “Oh, we’ve got traffic here and we don’t agree with any of that,” now we’re gonna throttle it so that I can’t listen to your podcast unless I pay extra for it. RUSH: Now, it’s interesting that you bring this up, Josh. You are very shrewd. This became one of the first actually realized aspects of net neutrality, and because it was so effective as a statement of opposition, it was dropped. Let me see if I can explain here. The original application or the original intent to sell net neutrality was the Obama administration being upset at Fox News. Now, Fox News… Not digitally, but Fox News cable TV. But that’s just a way to hook you to what coming next. The original net neutrality was the left trying to say that all points of view had an equal opportunity to be heard or should, and it was pitched as an effort to make sure that all points of view would have an equal access to all customers out there. This was one of the original pitches. It was a pitch that was oriented in… It was a distraction. The purpose of this pitch was to distract you from what was really intended. It was a misdirection play. The left was very clever in this. You’re very wise out there, Josh, to remember this. Your mistake is believing that it’s genuine. This is how they sold net neutrality. They sold it on the basis that… You know, the left owns everything in media except talk radio and cable news, and they want to own it all. They’re very upset by the fact that they can’t compete in talk radio, and they didn’t want this imbalance to happen on the internet. So as leftists are wont to do, they promote equality and fairness and sameness. Net neutrality was originally proposed and positioned as a way to make sure that all points of view were easily accessed, that no point of view would be discriminated against or denied. When in fact, the leftists want control of the internet for the exact opposite. They want to do just that. They do want to be able to punish — and they’re already doing it! Look at Facebook and Twitter and how they unfairly punish certain conservatives, certain tweets, certain posts if they’re found to be “offensive” under liberal definitions of offensive. In fact, I’m glad you mention this, because it’s exactly the way it was — one of the ways in which it was — originally pitched, as fairness and equality for all points of view. But the leftists are not interested in fairness or equality at all points of view because they don’t consider conservatism a legitimate point of view. They don’t consider conservatives legitimate or Republicans legitimate. They want to be able to control the internet precisely to do what you say, Josh, that they didn’t want to do. They do want to police content. But net neutrality is actually about much more than that. That original pitch was, as I say, a misdirection play. Net neutrality is, in the end, a desire by leftists to regulate and control the internet and to politicize it to their advantage, as they have and are trying to do with everything else. The latest example is the National Football League, and you see how the left’s attempts to corrupt that are succeeding. So I have to… You know, Josh, I had totally forgotten that aspect of this. I remember having a conversation with a commissioner of the FCC five or six years ago, and this was one of the areas we discussed, that this was an attempt by the pro-net neutrality people, to get people to buy into it, that it was all about political points of view being equally available and accessible, when that’s just a smoke screen, a total smoke screen. Josh, I’m so glad you called. I really appreciate that you were able to wind your way, weave through the mess that is our phone lines today and get through. RUSH: No, no. I was being serious. The guy reminded me of one of the original pitches for net neutrality. It was to make sure… This is how they tried to get everybody on board with it. Look, the left always uses misdirection. You know, folks, in a sane world, everybody would oppose net neutrality simply because of who’s proposing it. The left is proposing it. Liberalism is responsible for it. It’s their idea. That, in our world, should automatically disqualify it. And when I come along and tell you why is icing on the cake. And one of the original pitches was, “Well, we just want to make sure that every political point of view is treated equally and is not bottled up or obstructed or what,” when that’s exactly what they want to do with the power that they’re gonna have! Look at the Fairness Doctrine. Look what they’re trying to do with Fox News already and what they’ve been trying to do with talk radio for 25 years. All because they don’t control it.